Quiet Japanese-style Hotel in a Pastoral Setting Far from Civilization. 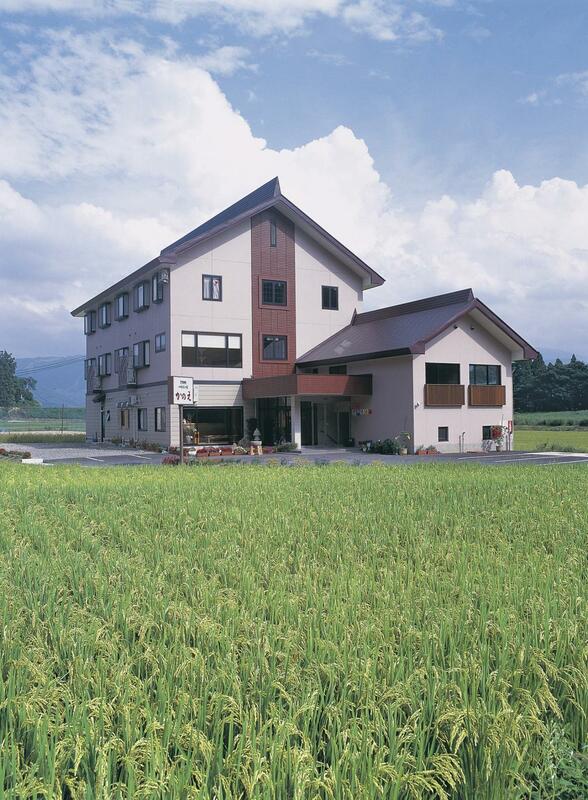 Family-run countryside inn that grows their own vegetables and ‘koshihikari’ rice using mountain spring water. They hand-make soba noodles for each day’s guests. The relaxing lodge is surrounded by fields and rice paddies far away from civilization. From Togari-Nozawaonsen Station(JR Iiyama Line), 5 min by taxi. Pick-up service available. Nozawa View Hotel Shimataya : Hotel Overlooking the Nozawa Onsen Village. Address Nozawa : Boutique Apartment Hotel Featuring a Stylish Blend of Japanese and Western Design. Hotel Haus St.Anton : Family-Run Austrian-themed Lodge in the Heart of Nozawa Onsen Village. Nabekura Kogen(Heights) Mori no Ie : Wooden Cottages in Nabekura’s Beech Forest. Restaurant Kamakura-mura : Winter Fairy Tale-Like Igloo Restaurant. Cafe Satowa : New Style 'Michi-no-Eki' Road Station Serving Breakfast, too. Asabano-an : Secluded Sweets Shop Hidden in a Garden by Mystical Kosuge Shrine. Chanko Cuisine Tamaya : Reasonably-Priced Healthy "Chanko" Stews. Restaurant　ST. COUSAIR : European-Style Restaurant Overlooking a Field of Wine Grapes. Straw Craft Making : Deep Snow Country Iiyama's Wintertime Activity: Straw Craft Making. Sasazushi at Kajika-tei : Try Northern Nagano’s Iconic Sasa-Sushi and Tomikura Soba at the Landmark Kajika-tei. 'Sansai' (Mountain Vegetables) Gathering : Go with a Guide to Nozawa Onsen’s Mountains to Gather Wild Plants. Cherish Nagano's Countryside through Mayumi Takahashi's Doll Art : Nagano’s Country Lifestyle as Expressed by Mayumi Takahashi’s Doll Art. Uchiyama Washi (Japanese Paper) Workshop in Iiyama : Japanese Paper Making Using this Distinct Deep-Snow Country Process.